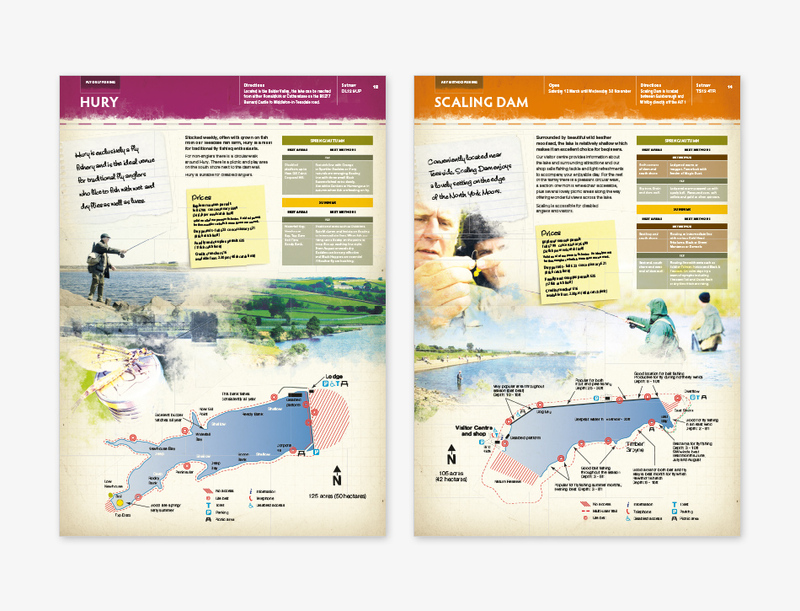 The Northumbrian Water Go Fishing Guide is used to promote their reservoirs as fishing destinations. 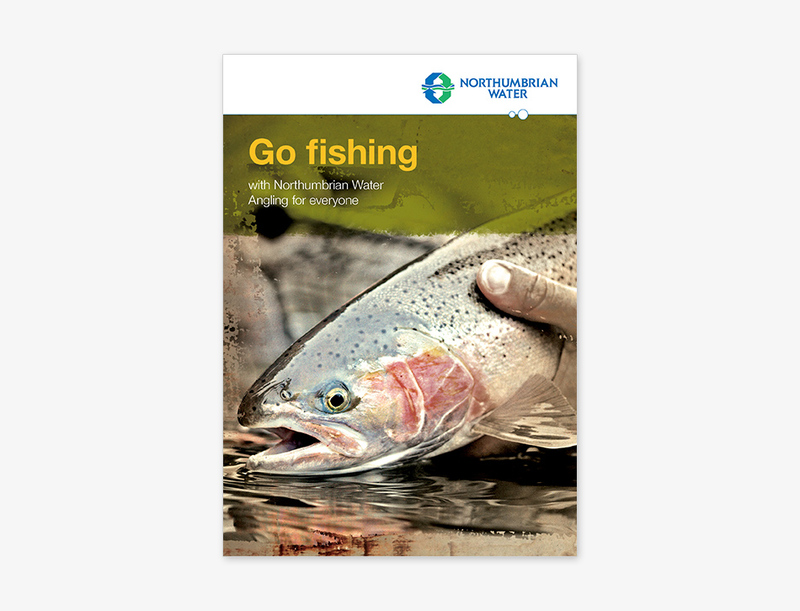 It’s very popular with anglers because it details all the facilities, directions and the local knowledge needed to fish successfully. We used a distressed, scribbled, notepad style to make it accessible to the target market. 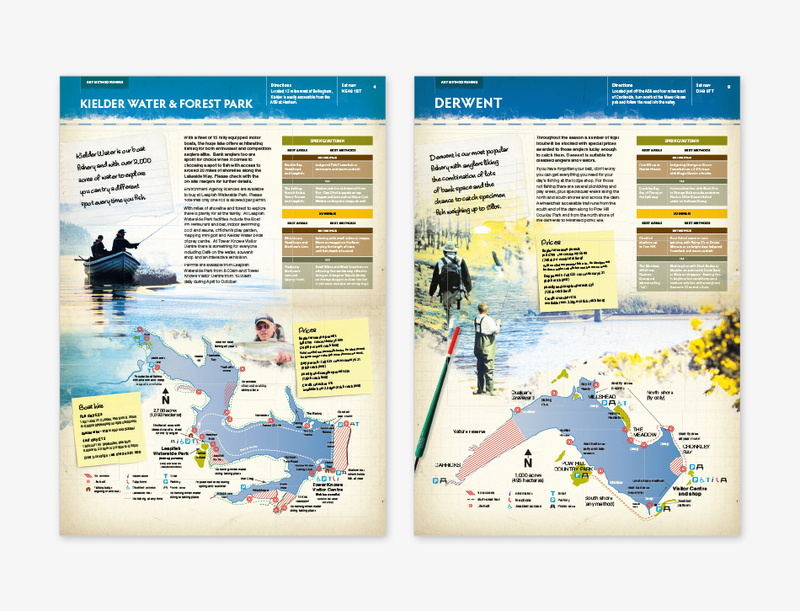 The format was A5 so it could easily stowed in a rucksack and a single reservoir spans across a full spread so more information can be displayed.